A series of huge defensive mistakes compromised Portugal chances to get a win from last night's friendly game against Turkey, leading to a 1-3 home loss. 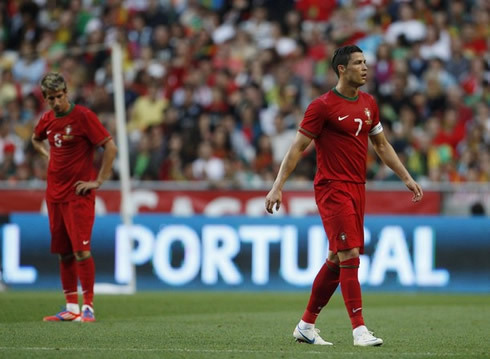 Some can now argue that going into the EURO 2012 with such low expectations can actually play in favor of the Portuguese side, as the players will certainly be aware of the urgency of raising their game level. 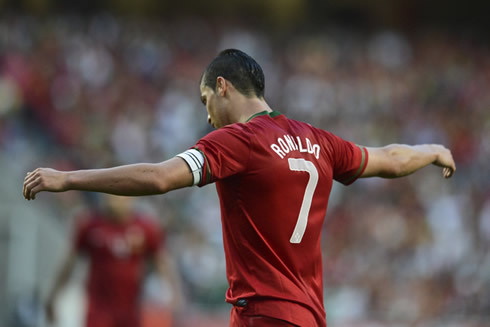 Portugal will face Germany next Saturday (June 9), in their EURO 2012 debut. 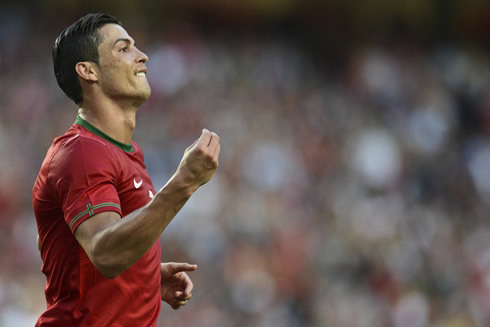 Turkey came to Lisbon last night and surprised the Portuguese National Team by beating Paulo Bento's men by 1-3. The immediate consequences from this loss is a huge drop in an entire nation's expectations for the EURO 2012, even though this was merely a friendly match. Portugal's defense was disatrous and the attack simply couldn't disguise the fact that this team lacks a world-class striker. Cristiano Ronaldo had some good moments throughout the game, but ended missing a penalty-kick, which was his 3rd miss out of his last 4 attempts. 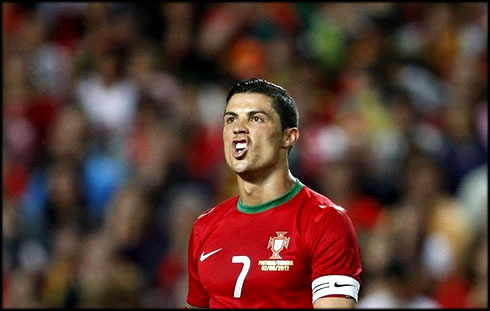 With only one goal scored in the last 3 games (270 minutes) and a playing style that seems to be unable to go in line with the team's identity, Portugal has now 1 week to get mentally and physically prepared to start their EURO 2012 campaign, against the all mighty Germany! Turkey took the lead just a few minutes past the first half-hour of the game, in a play where several Portuguese defenders showed a worrying passivity. On a first moment, the Portuguese right-back, Miguel Lopes, was left behind way too easily, allowing a dangerous low cross to be made. Rui Patrício then hesitated in intercepting the ball and Bulut anticipated Real Madrid's defender, Fábio Coentrão, to score the first of the night, with an easy touch into an empty net. Cristiano Ronaldo tried to get more involved with his team's game and still before half-time he produced one of those magical moments, after nutmetting his Real Madrid teammate, Hamir Altintop, with a perfectly executed "elastico" dribble. Just a couple minutes later, Ronaldo was also granted with a 1-on-1 chance against the Turkish goalkeeper, but his shot suffered a small deflection on Demirel's legs and regrettably went wide. With a 1 goal disadvantage at half-time, one would expect that the Portuguese team would come over with a totally different attitude after the break. However, it was more of the same and once again, two Portuguese players [Bruno Alves and Miguel Veloso] lost the ball in a prohibited zone and allowed Bulut to score his second of the night, with a powerful and accurate shot. 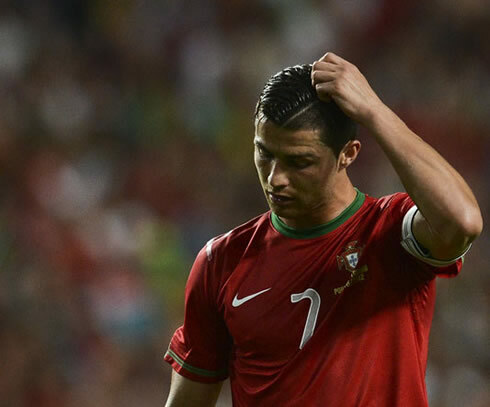 The disbelief had start taking over the Portuguese crowd and there were plenty of noticeable signs on the pitch that things weren't working out the way they were expected to be. Roughly 5 minutes later though, with the 57th minute ticking on the clock, Cristiano Ronaldo assisted Manchester United winger, Nani, on the right edge of the area and the Portuguese player fired a strong crossed shot that only stopped at the back of the Turkish net. With the 1-2 on the scoreboard, a slight hope of turning things over came back and there was even a great chance to reach the equalizer a few minutes later, with a penalty-kick being granted to the home side. However, Cristiano Ronaldo failed to beat Demirel and missed his 3rd penalty out of his last 4 attempts, when accounting for Real Madrid and Portugal games. From that point on, Portugal struggled to create problems into the Turkish defense and the final blow ended up taking place on the 87th minute, with the Portuguese defenders not looking good in the picture once again. A cross from the right heading the first post forced the Portuguese goalkeeper, Eduardo, to deflect it poorly against Pepe, making the ball rebounding to Ricardo Costa, who then failed to clear it away propperly, as his shot hit Pepe in the process and went back in. 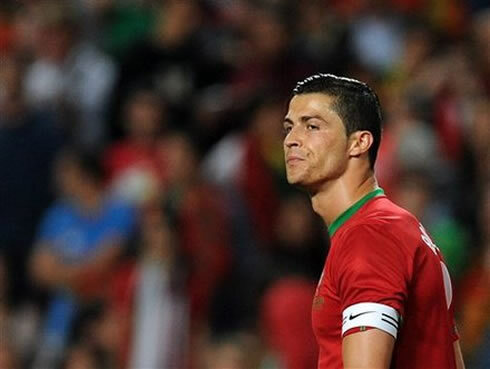 Portugal will now have to get prepared for their debut at the EURO 2012 (June 8 / Saturday) and they'll surely have ahead of them one of the strongest sides of the tournament, Germany. The 3-times European Champions will be the first team to face Cristiano Ronaldo and his teammates, who will then have to measure strenghts against Denmark on June 13 (Wednesday) and face the Netherlands on June 17 (Sunday). Real Madrid's season is now over and there are no games left in their schedule until the pre-seasons starts by July. Cristiano Ronaldo will now star for Portugal in the EURO 2012, and his debut will be against Germany, next Saturday (June 8). You can watch Juventus live stream, Portugal vs Germany, Spain vs China, Brazil vs Mexico and Boston Celtics vs Miami Heat, all from our football live streams section. 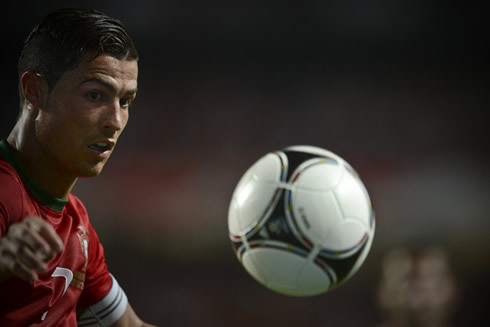 Cristiano Ronaldo will certainly be on the line-up, when Portugal faces Germany in the EURO 2012.